Terrible photo but these archers have so much character. 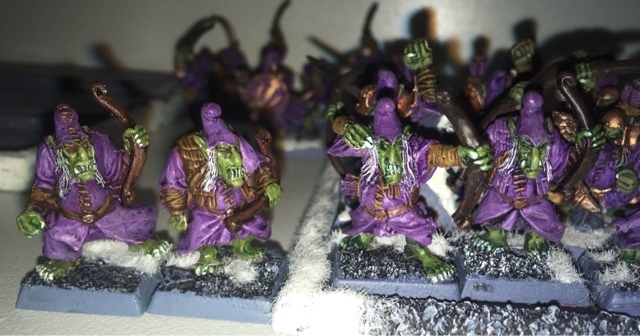 I mix these with my blood bowl hobgoblins who have been converted to carry bows as the sharks in eBay charge a fortune for these early 90s sculpts. Next up is some WIP backstabbers. 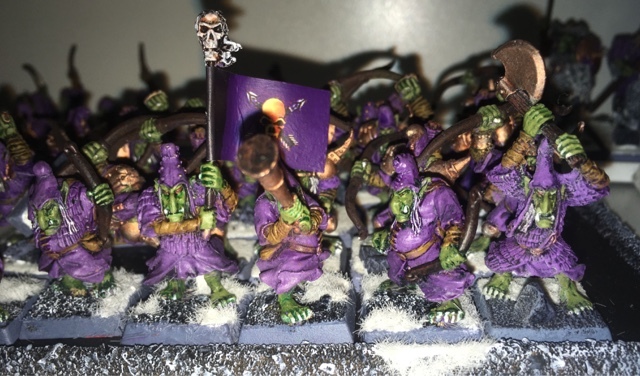 I have about 35 odd of these guys so looking forward to 2018 being the year I finish my lead pile of old school green skins for my infernal dwarfs.